Walking into a yarn store, admiring gorgeous colours and fibers, imagining all the things one could make - and not buying any of it? That is a painful day for both knitter and yarn store owner, but there is an upside. You get to enjoy all the potential without any of the at-home-storage issues, and definitely, none of the guilt when a year rolls around and you still haven't used any of it. 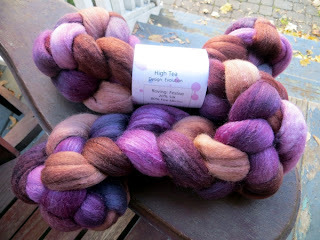 That said, getting club yarn in the mail is pretty awesome. When you join a club you pay in advance, so the guilt of spending on something you didn't need at this exact moment is somewhat dissipated. Plus, cool surprises in the mailbox! I always hold off on showing you my club stuff so I don't spoil anybody else's surprise, but it's ages now since these things turned up so here we go. Vesper Twinkle Lights - okay, this one wasn't part of the Knitterly Things club, but I had to have it because it is so, so gorgeous. The socks I make with this will go with everything. 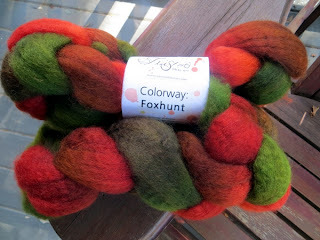 Plus, perfect for spring, if I knit fast. This one on the other hand was a club colourway: Thankful. And I'm thankful to have it. Stunning. 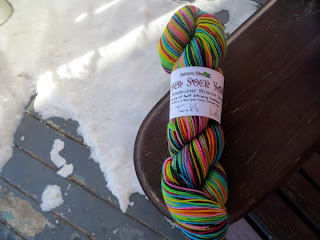 I keep thinking I should take a break from the Twisted Fiber Art club because I have so much Twisted yarn in my stash... but that argument doesn't keep me out of the Vesper club so I joined Twisted again anyway. This time the theme was Downton Abbey, and I chose the Upstairs stream of colourways. and for the tea and biscuits fans among us, High Tea. I haven't decided what I will do with these two braids, but since club members have the option to order more yarn in all the colour bases at the end I'm thinking of buying a coordinating solid for each, then improvising a woven scarf with that and the handspun. Or maybe I should just whip up more cowls? 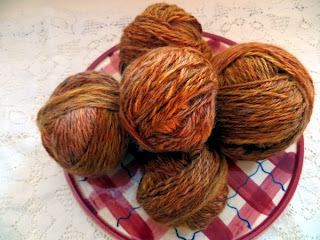 Meanwhile, I have not shirked on making more yarn at home. 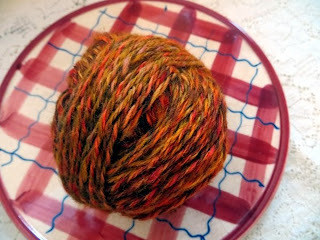 Behold, the plied 3-ply sport weight I have been spinning forever from Stoddart roving, in the hope of fulfilling my dream of handknit handspun socks. These are actually two different colours, believe it or not: the bottom one has a lot of hits of red in it. But it's good that they coordinate because depending on how consistently I spun the weights, I may have to blend cakes from each colour for a single pair of socks, ahem. In partly related news, I have been investigating my stashed yarns for possible tea cosy knitting. On the left, we have a well spun Jacob/Alpaca mix which is both superwarm and totally unlikely to fluff fibers into any stray teacups, feels amazing in hand (which means pouring out the tea will be heaven), and matches my kitchen counter perfectly. 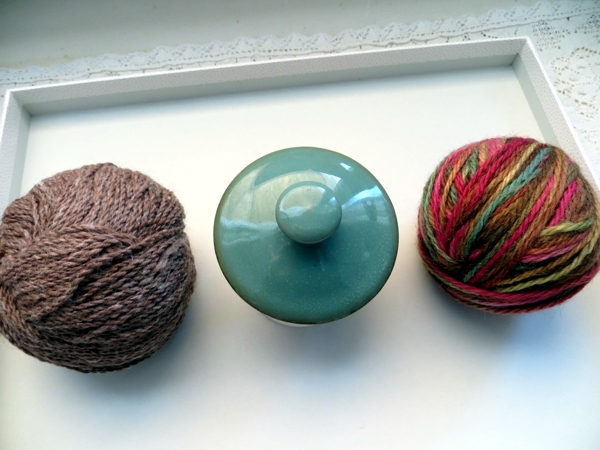 On the right, a cheery variegated wool with some shine, whose greens match the teapot perfectly. Hey - at least I got the choices down to two, right? Hope you have a good day with something new or good-old in it, even it it's just another inch on your own project of the moment, and I will see you tomorrow. The brown yarn is just lovely with the teapot! It also reminds me of David Tennant's Doctor Who suit, which is a always a bonus. Oooo Ang., I didn't know about that Dr. Who connection, David Tennant Edition - might tip the balance!